The latest edition of our flagship book has arrived. 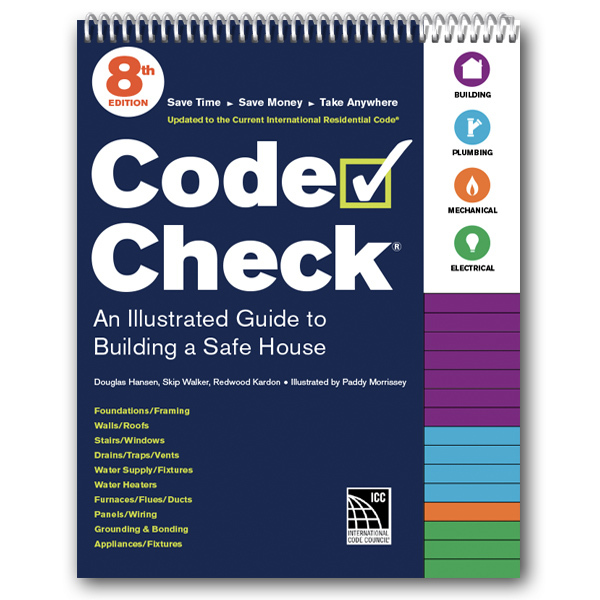 Code Check 8th edition is based on the 2015 IRC, UMC, & UPC, and the 2014 NEC, the most commonly adopted codes in the United States. 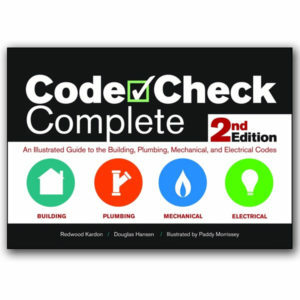 Major changes are highlighted in the book for all four major disciplines – building, plumbing, mechanical, and electrical. 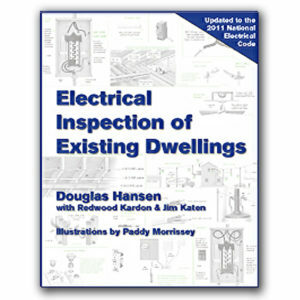 Includes 78 illustrations and 29 tables. 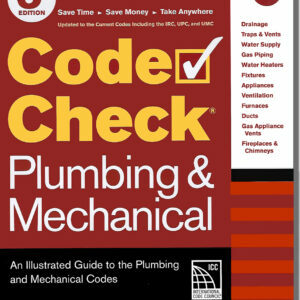 This book is in our convenient flip-chart format, which simplifies getting directly to the section you are looking for. Perfect for field use or in the office. 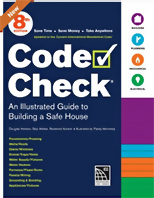 Unique to recent Code Check series books are annotations that indicate selected differences between the IRC and California codes. 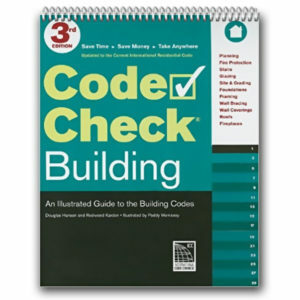 The book is endorsed by the International Code Council. At this time, there are no changes to the current edition.